The mighty Sea King HC4 helicopters from RNAS Yeovilton took to the skies over Somerset to celebrate the long service of the Sea king’s HC4 with the Commando Helicopter Force whose HQ is at RNAS Yeovilton in Somerset before it retires in a few weeks. Above: flying above Somerset, looking out though the main cargo door at our sister ship flying along side us. 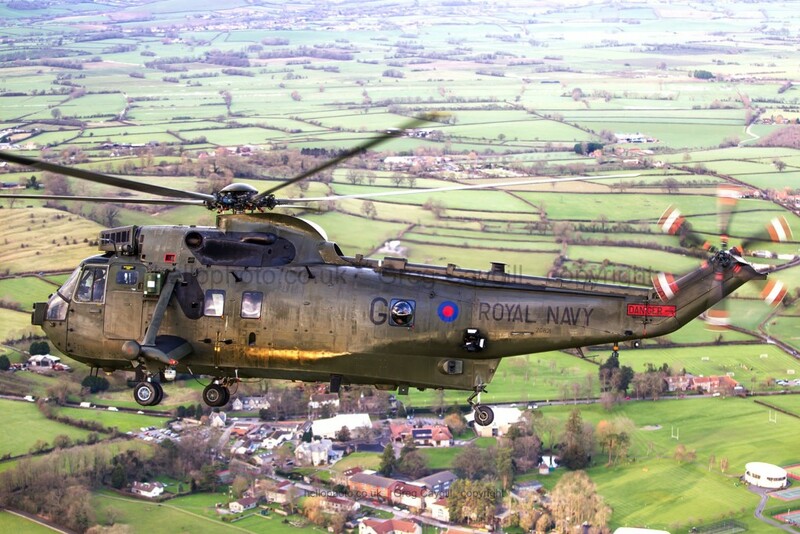 The Commando Helicopter Force, whose HQ are based at RNAS Yeovilton, held a final Farewell event to the Sea king HC4. when we visited 848 Naval Air Squadron and also took to the skies over Somerset for the last time with the legendary Sea king HC4. known as “Junglies”. They have provided amphibious transport of troops and supplies for 3 Commando Brigade into the heat of battle for so long. To a packed audience in the Sqn’s briefing room, the Commanding Officer of CHC, Niall Griffen said about the Sea king’s great reputation for so many years “from the Falklands though every single operation theater the UK has been too, 25 years constantly on operation somewhere around the globe, which in it self is probably unparalleled contribution to UK defense, to the pretty harsh war fighting environment in Iran in the last decade, also back to Northern Ireland and Bosnia back to the Falklands clearly where it was a real stalwart back in it its embryonic stages. And peace support and humanitarian aid and Operation Patwin in the Philippines a couple of years ago. Versatile and an incredibly forgiving aircraft. 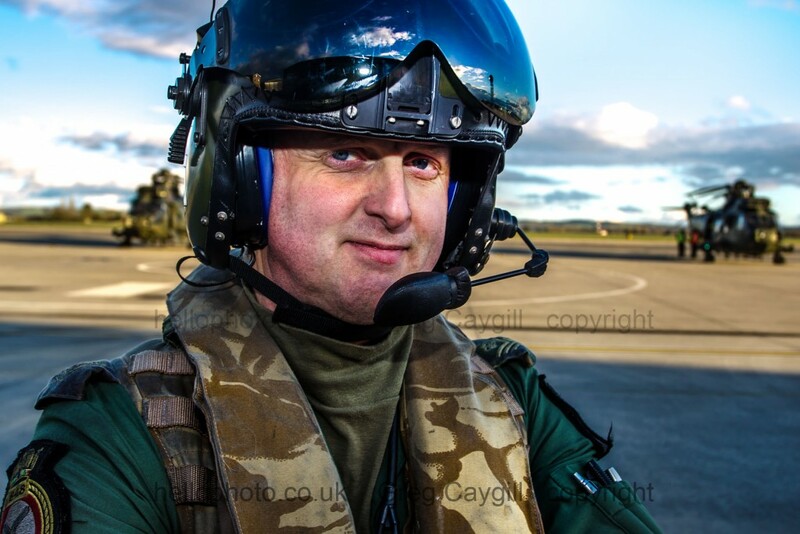 Lt Cdr Mario Carretta, seen here was the pilot of our Flight “Avenger 1” he is the ex-CO of 846 NAS and has 5,000 hrs and over 20 years of flying the Sea king, from the 1st Gulf War back in 1991 to Afghanistan in 2008. So I was safe in his hands with all that experience as we went on our flight. Above; as we flew over Glastonbury Tor, with the roofless St. Michael’s Tower. 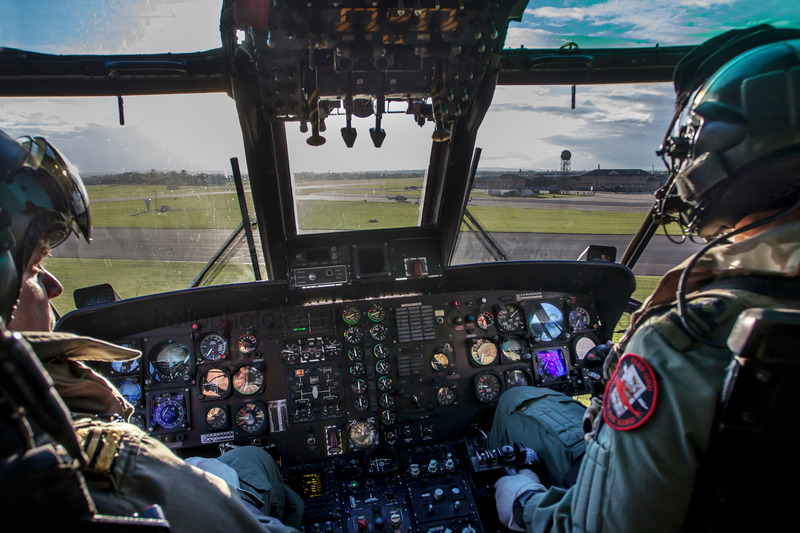 Above: about to land RNAS Yeovilton in the distance, with Lt Cdr Mario Carretta in the left seat. 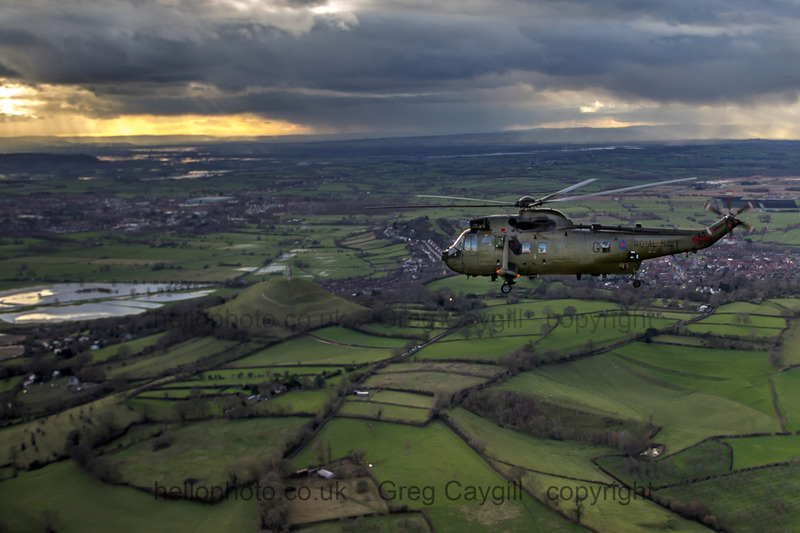 With thanks to all at CHF and Yeovilton. 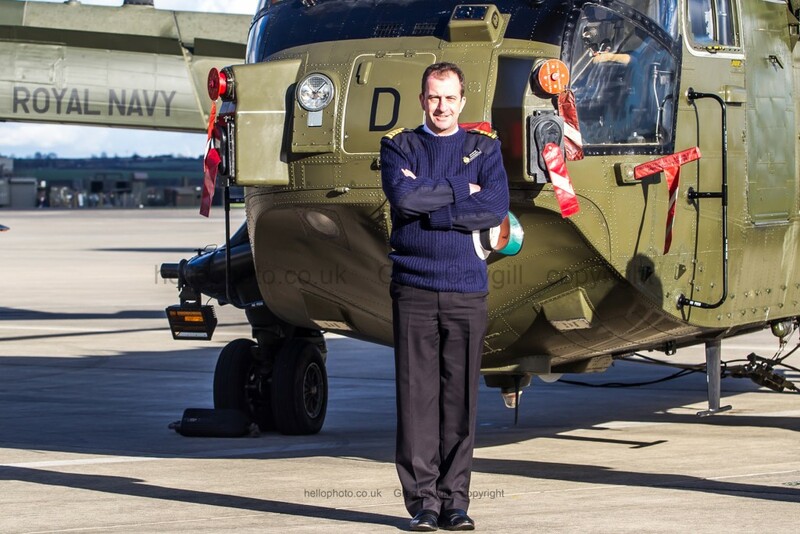 Including Capt Niall Griffin MBE is the Commanding Officer of the Commando Helicopter Force, (with over 3,000 flying hours). 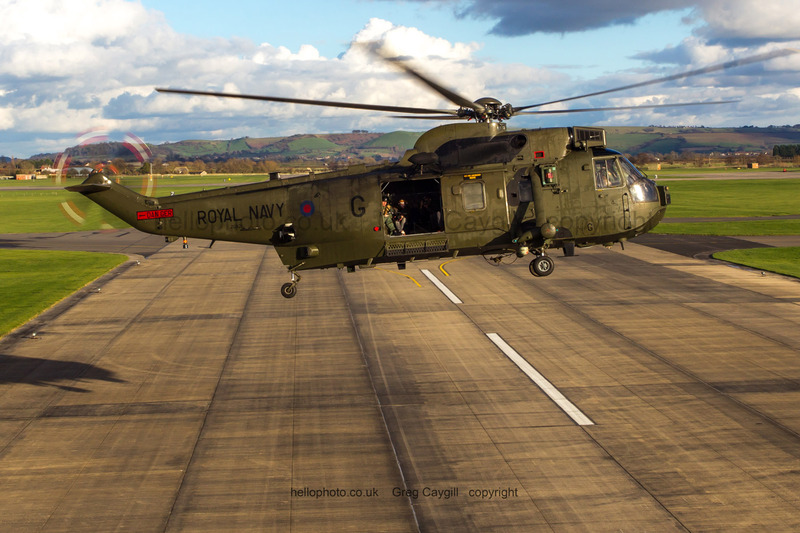 The Merlin’s interim standard machines are known as “HC3i” (“i” for interim), the first ones arrived at RNAS Yeovilton on 14th October 2015. This allows ship embarkation to replace the Sea King HC4. The Merlin HC3is have the folding blades, deck lashing points, fast-rope fixtures, upgraded undercarriage and an I-band transponder. 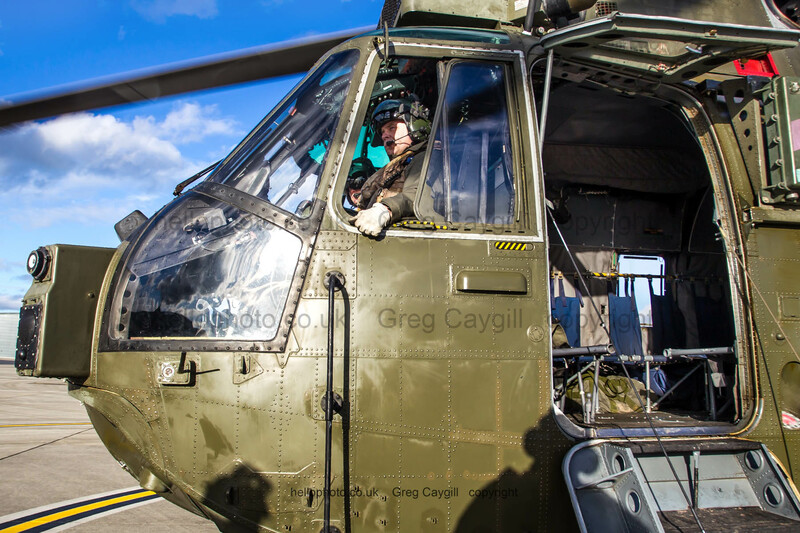 Then the first of the HC4 standard conversions are expected to be complete in September 2017 and will eventually give 19 HC4 and five HC4A Merlin’s for 845 and 846 NAS. 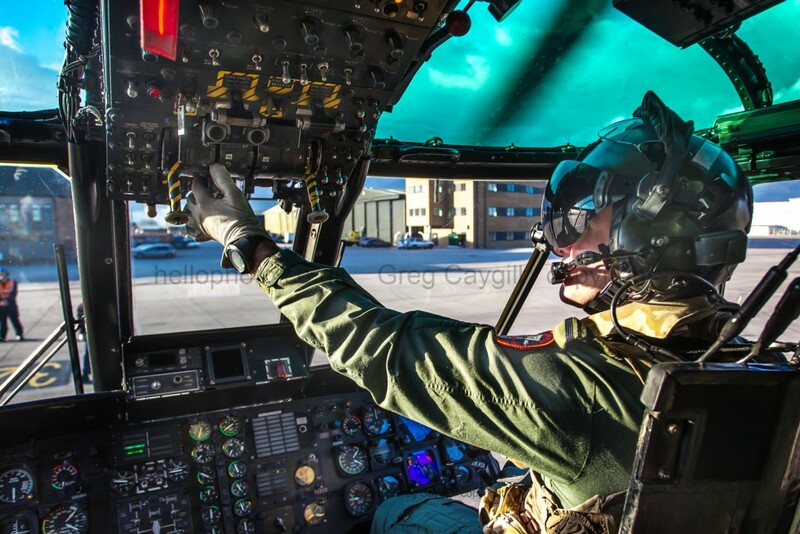 These will have fully automated folding main rotors and folding tail, also the newer glass cockpit displays to match the Royal Navy’s Merlin Mk2 (Anti Submarine Warfare) helicopters at RNAS Culdrose. Out of interest 845 NAS with their Merlin’s are due to return to Yeovilton mid Summer. 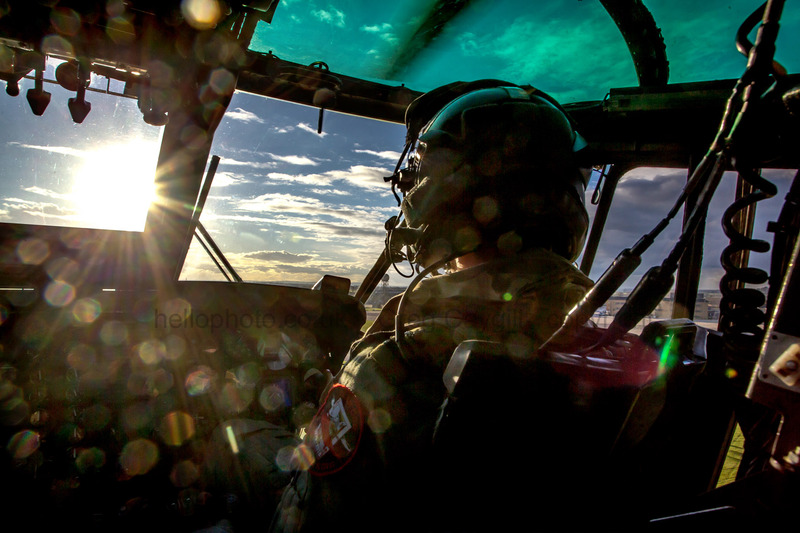 The Merlin’s will do the same role, the Royal Navy’s, Fleet Air Arm’s CHF will continue to provide amphibious transport of troops and supplies for 3 Commando Brigade into the heat of battle. Pilot Lt. Aaron Cross is the Commander of ‘A Flight’ within 848 NAS said in the briefing that “Our role right to the end is to provide tactical mobility to the Commando Force. If you were a Royal Marines Company Commander and you had your 100 or so Marines on the battle field, you could give us a call and we would move you around to where you wanted to be in the heat of battle. The tactical element means we can do that without being shot down by the enemy. It’s what we do.” “The other role we undertake is load-lifting. We have a big, meaty hook that allows us to take vehicles, supplies, ammo to the troops on the ground around the battlefield. Rather than just landing and dropping troops out the door. All Junglies Sea Kings out now of service, Some photos were published including the Daily mail.